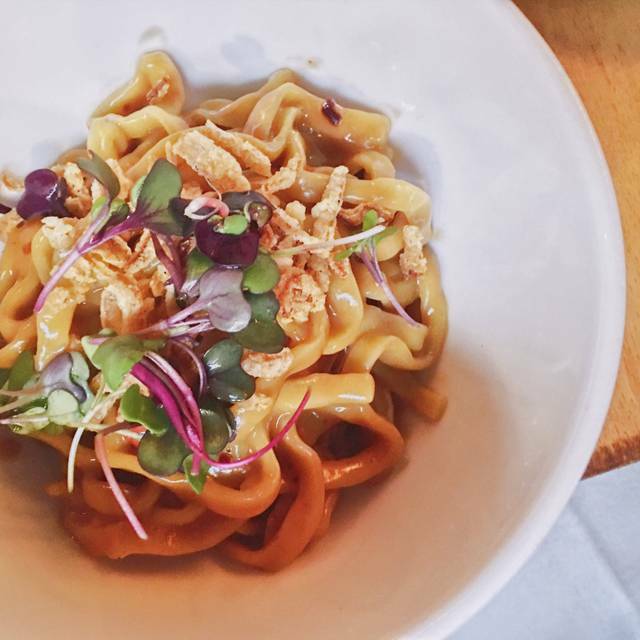 Tuome serves an ingredient driven contemporary American menu with Asian influences in the East Village. Our group of 5 had a wonderful meal, sharing different plates family style. It was fun to try different dishes and flavors. 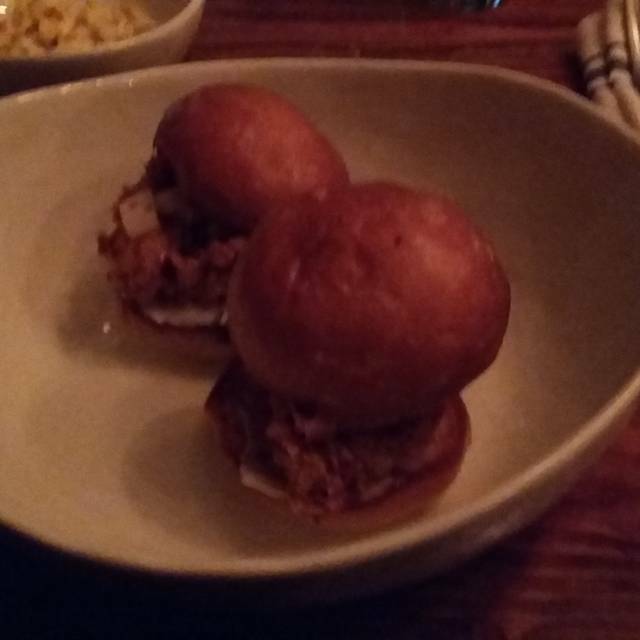 We especially enjoyed the Pig Out (crispy skin roasted pork for 2), chicken liver appetizer and the fried deviled eggs. 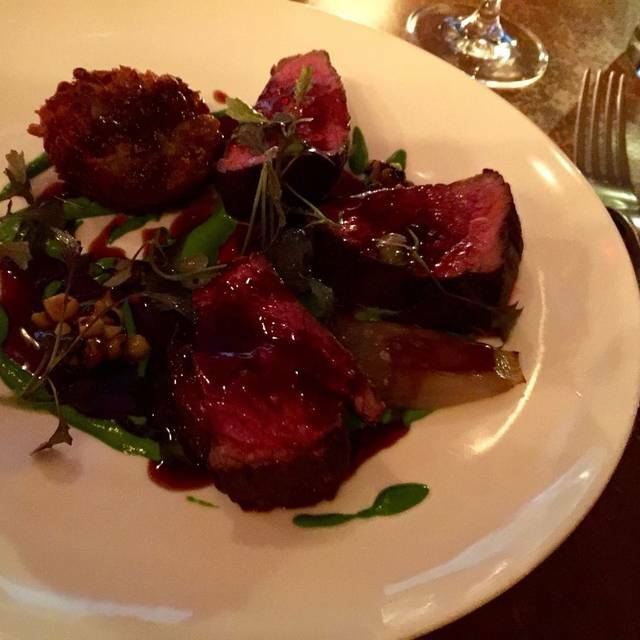 Casual atmosphere, great food- I would definitely go back and recommend to friends. Food is good but the restaurant is far too noisy, 92 db is not the noise level where one enjoys dining. And we could not read the menu without a torch because it was so dark. FOOD IS ON PAR, HOWEVER THE SERVICE IS QUITE DISORGANIZED. LIMITATION OF DRINKS THAT YOU CAN ORDER. Great ambiance and great food. Loved the innovative, delicious and beautifully presented food. The tartare, crab and pasta dish, salmon all were so fresh and tasty! Great service and ambience!! New favorite spot in Alphabet city! Totally delicious meal. Can’t wait to return. Tuome was a fantastic experience. 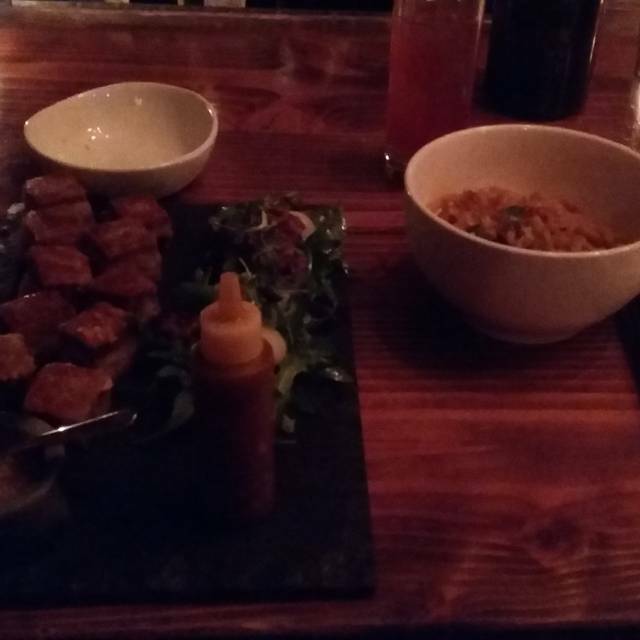 The food was really delicious, the service perfect and we also loved the cool atmosphere. I’ll definitely come back and highly recommend. Cozy and intimate setting. I personally thought the Pig Out was just alright, so it was kind of disappointing that I couldn’t order another entree since the dish was already for two. Amazing sweet potato side, fried mantou dessert and deviled eggs appetizer. Overall a lovely experience. Tuome is a gem! They deserve a second Michelin Star. Wonderful experience. Great food, charming atmosphere, nice service. Wonderful neighborhood secret! Highly recommend the Snow Crab and Salmon! The Deviled Egg appetizer made for a perfect start! Unique flavor combinations, refined dishes, quiet space. Good for smaller groups. The food is outstanding here. Limited menu, but what is offered is divine. Let the server guide your way. Cute Design and tightly packed, but great date night place. Booked because of their Michelin star. Food was tasty but every dish was extremely heavy and overly sauced. Even the Himachi had fried items. Tuome is one of the best restaurants I’ve been to in a while. Lovely atmosphere, excellent cocktails and beer, friendly staff and the food was interesting and excellent. This restaurant is outstanding in all facets. The deviled eggs were outrageously tasty... very creatively presented. The chicken liver mousse was terrific. The scallops were perfectly prepared. I recommend the sticky rice and broccoli for sides. Chicken liver and pig out were the highlights. Service was attentive. Small out of way place. Excellent food in a very cute space - dark and cosy. Great service- liked the explanation of each dish. High quality food without pretension. 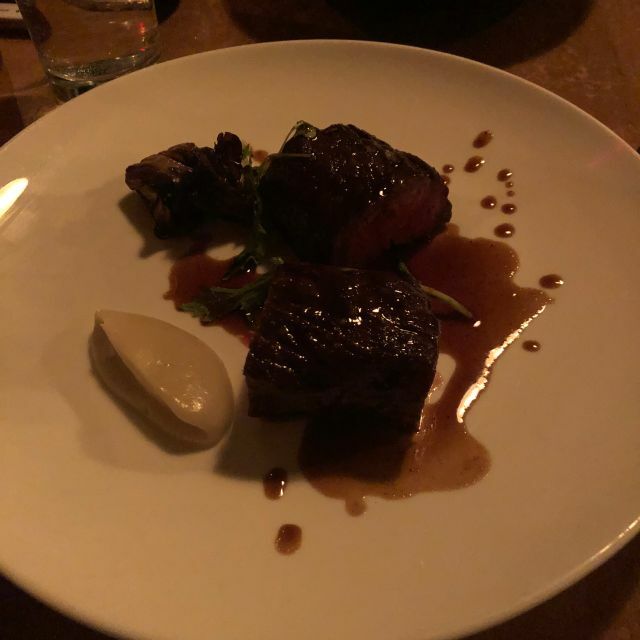 Ok, I've always had a great meal here,went to 11 Madison last night (it was very good) but the squab special here beat the duck(from 11 madison) by far. You out did yourselves!! Amazing food that's not badly priced for a Michelin star restaurant! 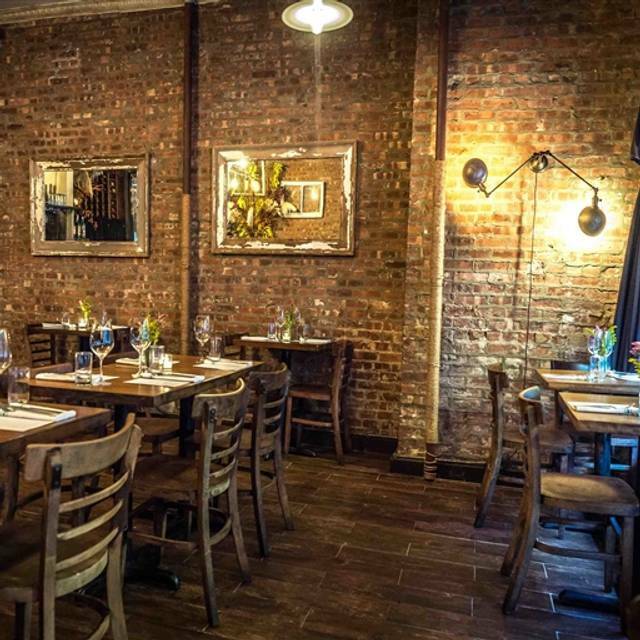 Tuome is an East Village standout and a NYC gem. 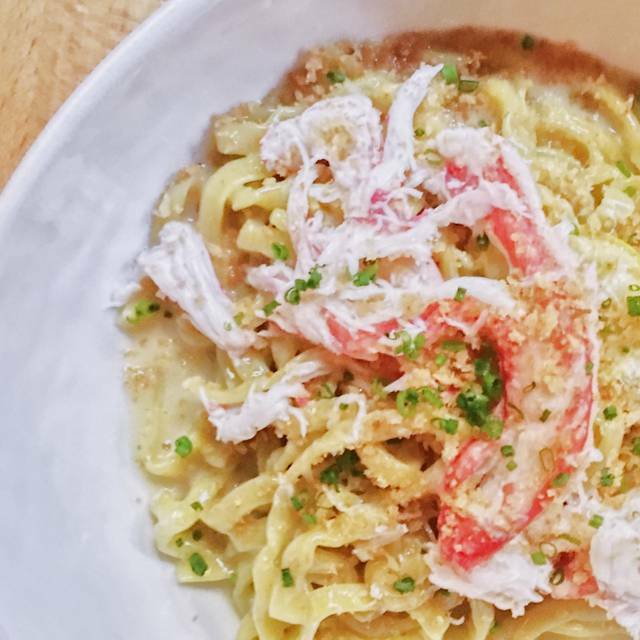 We try to eat at Tuome at least once a month but should probably be going once a week. I gave a 3 overall for a few reasons. First the chair my husband sat on was nearly broken, no one to talk to about it so we switched it ourselves, the tables were really cramped and I was bumped constantly by the waiter and other guests. But what was really disappointing was our intrusive waiter who interrupted us constantly by telling/asking us everything he was going to do. But what really got me was telling us the desserts while clearing our plates, we tell him we are going to take some time to finish our wine, not sure if we wanted more wine or not, only to have him return a few minutes later to ask about dessert, (which was excellent btw) when we were deep in conversation. We did have the dessert but once finished, not cleared, the bill was slapped down by not him but someone else. This didn't feel good. We did have a good evening and I will recommend you but I wish our waiter had been more intuitive with us. Overall we enjoyed the experience. I felt the pricing was a bit high, but would still recommend. Still Amazing since the first time I came here 3 years ago. The octapus is just amazing. I go to this place all the time; even in NYC where there are so many choices, it continues to be one of my all time favorites. Every dish was unique and full of flavor! Definitely worth a stop. Highly recommended. Food was good but unfortunately the pork for two was disappointing as the crunch was too difficult to cut and there was not enough flavor as I was expecting. The snow crab was delicious as well as the apps. My 3rd time dining here. Would highly recommend. Tried a few different apps and sides this time but still went for the Pig Out as the main entre. Everything was SO good. Service was excellent. Staff was available for any questions about the food or wine list but never felt like they were "hovering" over us. Can't wait to go back. Inventive, welcoming, and Asian touched. simply Delicious. Liver mousse with maple syrup (yes you heard me) was airy and yummy. We kept making yummy sounds throughout the meal. Broccoli as a side was terrific. Definitely will return. 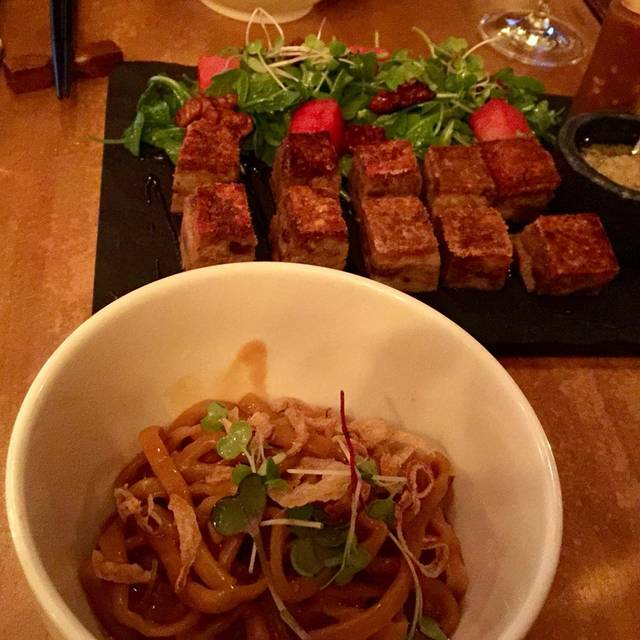 Tuome is exceptional - the food is precise and the flavors so well-considered. It's nice and cozy and really lends itself to date night. Can't go wrong dining here! 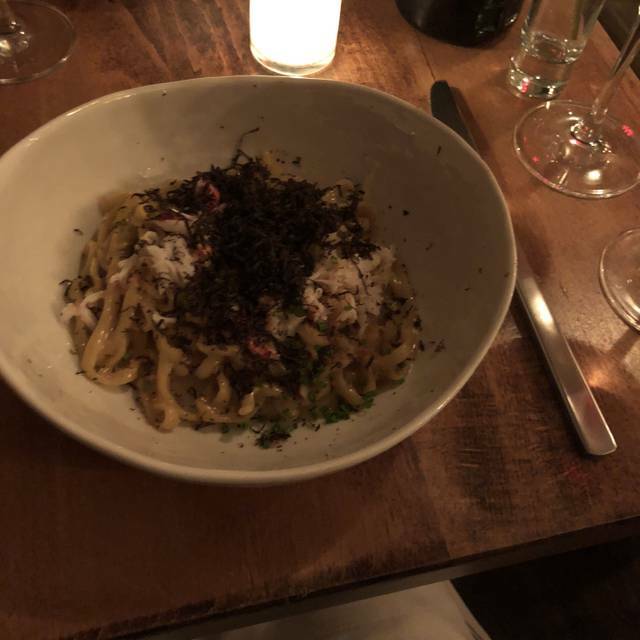 Tuome is all time one of the best meals in NYC. The crab noodles are absolutely to die for (we ended up ordering two) and we also got the beef and the side of broccoli. I'd had all three of these dishes before (as well as the deviled eggs) and knew they were must orders. We also tried the salmon with the crispy capers for the first time and it was absolutely delicious - the sauce...I can't even explain it was so good. For the first time, we also had a lovely conversation with (who i'm assuming was) the owner - he was extremely hospitable and made my out of town guests feel like regulars. Such a lovely overall experience. The pig out was incredible!!! The food was quite good. It was a little dark inside though and a bit cramped. The service was excellent and the staff were always happy to answer any questions I had. Our table of three ordered probably eight menu items and they were ALL terrific. Tasty food and such friendly service. Atmosphere is great. I recommend this restaurant enthusiastically. Opt for a table in the bar area—they give you a bit more elbow room. I was so disappointed that my first choice -- Pig Out was for two since I was solo that night. I should have gone BIG and ordered the Pig Out, but it felt so gluttonous. I had to settle for the scallops. Though the scallop main course was stupendous, its portion was way too small. Great food, but I don't recommend you go alone, if you are a pork lover like me.